You may be familiar with the word mineral and also heard people talking about minerals in certain food and drink. Doctors sometimes tell their patients that, you have a deficiency in a certain type of mineral, like iron. But, what the mineral itself is? Let’s find out! They are solid at room temperature. They occur naturally around the world. They are not produced by living things, like plants and animals. Hardness: Hardness of the minerals is defined in terms of its resistance to scratches. You have mostly seen that plastics are easier to scratch than a glass. The same case is here for the minerals. Some minerals are easier to scratch, like talc and gypsum. While, others are very hard to scratch on, like quartz and diamond. But, Diamond is the hardest known mineral on our Earth. The hardness of any mineral is measured on a scale called, moh’s scale. This scale assigns the hardness to minerals from 0 to 10. Diamond having the hardness of 10. Luster: This property defines the shining of the minerals when light reflects on their surface. Some minerals shine like metals and are said to have a metallic While others shine very dull. Streak: It is the color of the mineral in its powdered form. Usually, minerals change their color when powdered. Some minerals turn white when powdered. Streak can be tested with a streak plate or rubbing the with any rough surface. Cleavage: It defines how a mineral will be broken into the pieces. Usually, the structure of the minerals is weaker at some locations than other. These locations are called planes of weakness. When a mineral is breakage occurs along these planes, it is called its cleavage. Specific gravity: It is the ratio of density of a mineral to the density of the water. If the specific gravity of a mineral is more than one, than it will sink in the water. If it is less than one than the mineral will in water. Color: It is the visible property of a mineral. Minerals come in wide variety of colors. All the minerals are divided into two main classes, which are silicates and non-silicates. Silicates: In this type of mineral, silicon and oxygen form a group of atoms known as silicate (SiO4) and bond with other elements to make silicate minerals. 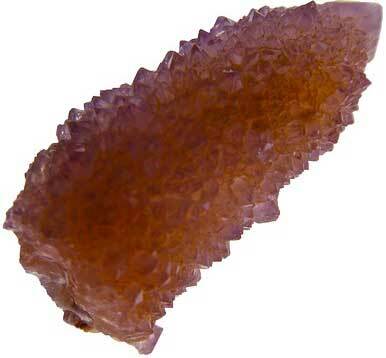 This is the most common type of mineral found in the crust of the Earth. Silicate minerals are also divided into subclasses, which includes tectosilicates, phyllosilicates, inosilicates, cyclosilicates, sorosilicates, and orthosilicates. Non-silicates: All the other non-silicate minerals are placed in this category. Non-silicate minerals include sulfides, oxides, halides, carbonates, sulfates, phosphates, and organic minerals. Minerals are very necessary ingredients of the food. They allow our body to function normally and help in growth and development. You may have heard minerals deficiency in children and adult due to an imbalanced diet, which may cause many problems. For example, deficiency calcium in our body weakens the bone and teeth. So, a balanced diet is necessary to avoid any mineral deficiency. About 90% of our Earth’s crust is made of silicate minerals. Minerals are a necessary part of the diet for all living things. More than 4000 different varieties of minerals are found in the crust of the Earth. Abdul Wahab, "Minerals," in Science4Fun, April 13, 2019, http://science4fun.info/minerals/.